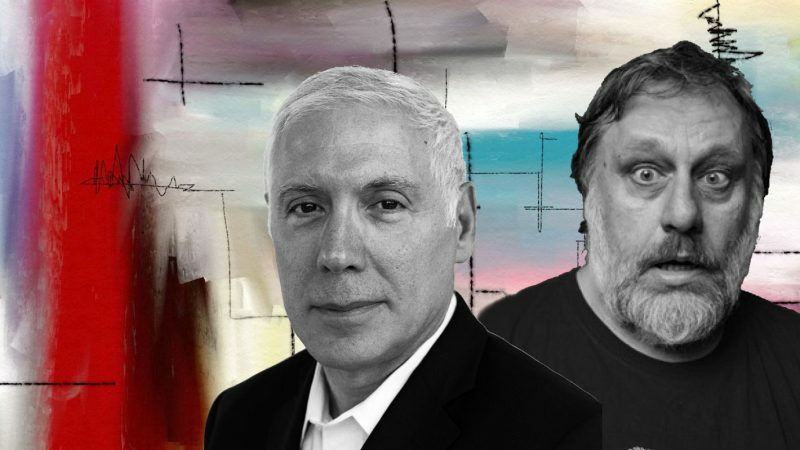 Žižek will be in conversation with Stephen Grosz, a practicing psychoanalyst, at Emmanuel Centre, 9-23 Marsham Street, London SW1P 3DW on Thursday, 5th Oct 2017 from 6:45pm to 8:00pm organized by the How to: Academy. We are often told that psychoanalysis is dead. Outdated scientifically, in that the Freudian model of the mind has been superseded by neurobiology; outdated clinically, where the talking cure has lost ground to drug treatment or behavioural therapy; outdated socially, where the idea that we are repressed by the norms of others is no longer stocked in today’s supermarket of free choices. But perhaps the moment of psychoanalysis has only just arrived. At a time when we are bombarded on all sides by the injunction to ‘Enjoy!’, it is a unique space in which we are released from such pressures. The psychoanalytic encounter allows one person to feel alive in the mind of another, whatever the consequences. Neither a cure nor a cure-all, it changes those who experience it, sometimes by helping them to understand why they cannot change. Discovering the unconscious at work in psychic life, Freud showed that the ego is not master in its own house, that we do not know our own minds. This is a truth with no sell-by date, and Freud’s insights are alive today more than ever. In the context of the exhibition «NSK. 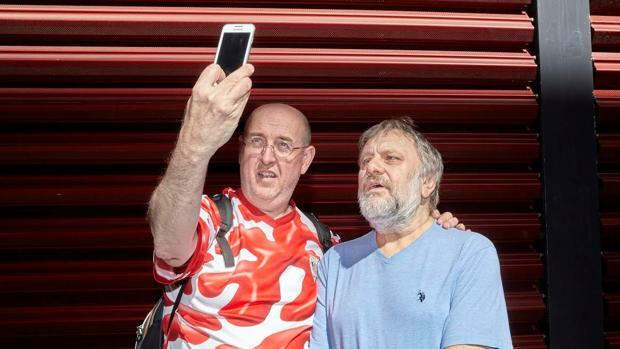 From the Kapital to the Capital ", which the Reina Sofía Museum dedicates to this Slovenian collective, and in response to a joint invitation from the center and the Círculo de Bellas Artes , the philosopher Slavoj Žižek (Ljubljana, 1949) passed through Madrid to give two lectures on The various deaths and resurrections of the fascist ghost. A perfect moment for the critic Fernando Castro to chat with him ... of many other things. From Diem25.org:In December 2016, smog in big Chinese cities became so thick that thousands fled into the countryside, trying to reach a place where one could still see blue sky—this “airpocalypse” affected half a billion people. For those who remained, moving around began to resemble life in a post-apocalyptic movie: people walking around with large gas masks in a smog where even nearby trees were invisible. The class dimension played a crucial role: Before the authorities had to close airports because of the bad air, those who could afford an expensive flight abandoned the affected cities. And, to add insult to injury, Beijing’s lawmakers considered listing smog as a meteorological disaster, an act of nature, not an effect of industrial pollution, to prevent blaming the authorities for the catastrophe. A new category was thus added to the long list of refugees from wars, droughts, tsunamis, earthquakes, economic crises, etc.—smog refugees. In his speeches he jumps from Habermas to 'The Hunger Games', his rehearsals are sales successes and his audience lined up to listen to him. 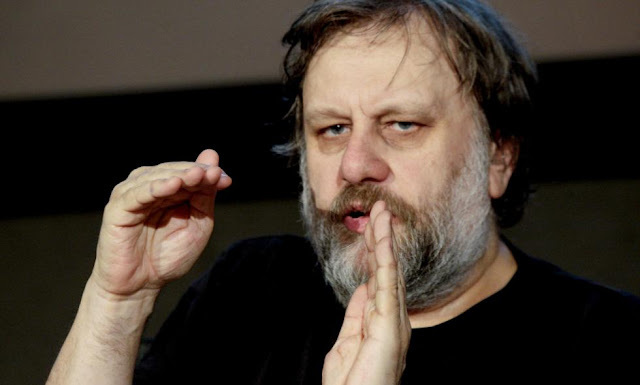 The Slovenian philosopher Slavoj Žižek believes that today, more than ever, major metaphysical questions are of interest because technology is changing what it means to be human. 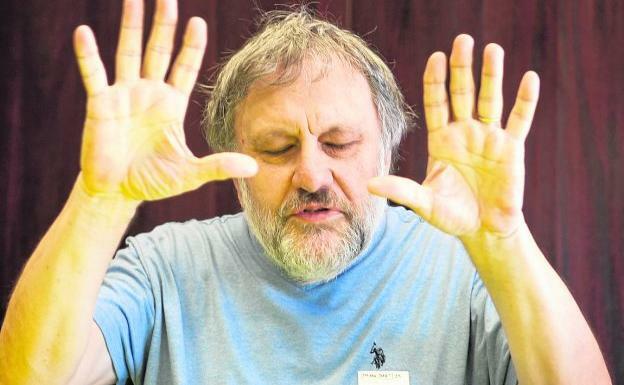 The philosopher embarked on a series of lectures in Spain in which he speaks of what he calls the 'Aireapocalipsis', or the set of signs that, for him, indicate that humanity is at a point where it must change the way Which is following. I do not say that the machines will control us, there is still much to go, but they are changing what it means to be human. So far we have believed that reality was outside, separate from us, but that is changing: the brain can connect with a machine. Stephen Hawking no longer needs his hands to handle his computer, he does it directly with his brain. How do you see the relationship between humans and machines? We are entering a new era. For example, look at what happens in clinics in the suburbs of Shanghai to which Western couples come to select their embryos genetically. The head of the Chinese Academy of Biogenetics when I met him gave me a pamphlet stating that his task was to control the physical well-being and "underlining" the mental word of the people. I thought, 'My God, they are already doing it': control of impulses, anxiety. There is a future that troubles me a lot of a society of control, in which citizens are constantly watched and a new division of classes even stronger: privileged and slaves. A class that will not only come socially determined but also biologically, as in recent films like 'Elysium' or 'The Hunger Games' saga, which drew those divisions. What do you think about such a scenario? Capitalism, as we know it, is reaching its limits. We need large regulatory structures to deal with global warming, desertification, refugees, biogenetics, and these structures can not be States. We have to think of some species of public bureaucratic bodies in which there would be experts on all these issues that are of great importance to the whole world, but also randomly selected members, as in popular juries. The question is who would control those entities. As you know, bureaucracy works best if you feel terrified. Stalin had a good idea when it occurred to him to terrorize not only ordinary people but also bureaucrats. In an ideal state you can be an influential bureaucrat, but you know that sooner or later you may lose your head. Is not it that you defend Stalin, or yes? No, I'm just putting an example of something that worked in his dictatorial regime, which is different. What do you think of the European left as the groups we can in Spain? I'm puzzled because I still do not know, and I fear they do not know either, what they want once in power. And the Latin American left? The left in general throughout the world is still in deep crisis, and the only thing that can save us is a new left. The protests that erupted everywhere two or three years ago, was clear against what they were. But in favor of what? A Keynesian Idea? A reform of capitalism? I can throw questions, show what does not work today, outline problems, but I have no concrete answers. Do you believe in the idea that people are becoming more superficial and are not willing to read, for example, works like yours? There is a substantial audience for theoretical and thought works. It is not true that we live superficial times in which nobody reads or deepens. The thinker defends 'literocracy' and 'democratic terror' and criticizes Europe's ecological cynicism and hypocrisy with refugees.